Toxic Tuesday? 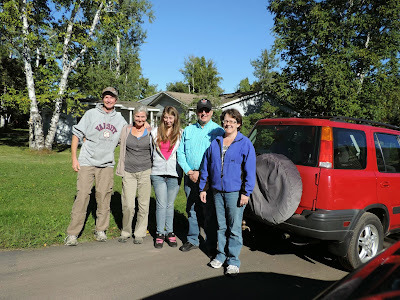 Well let me tell you a story about our first attempt to visit Duluth, Minnesota. Back at the end of June 1992, Ruth and I took our young children (6 and 4 at the time) on a road trip from Ottawa to Fort Frances, Ontario. We took the American route through Michigan, Wisconsin, and Minnesota. And we never did make it to Duluth. On Tuesday June 30th, 1992 we were planning on driving through Duluth. 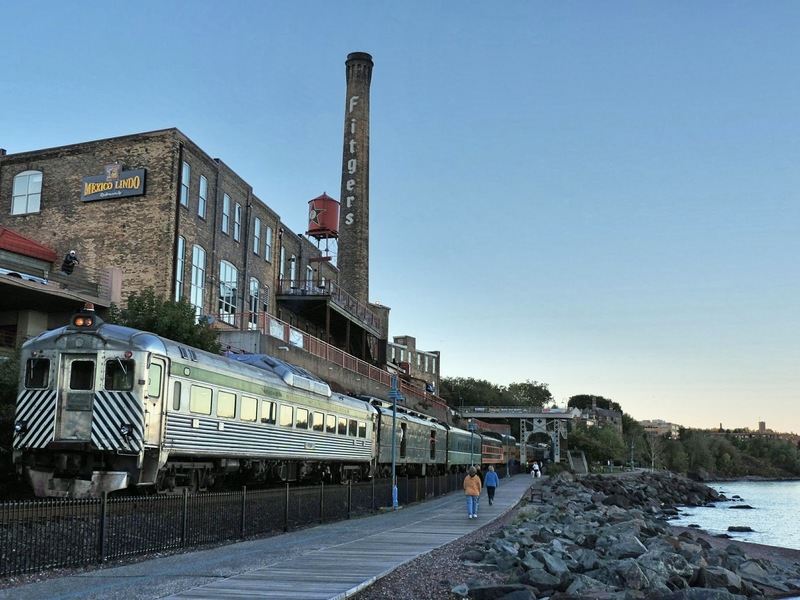 That morning, there was a train derailment that caused a toxic cloud of benzene gas to hang over the city of Duluth after a rail car carrying 25,000 gallons of the chemical spilled into the river. 30,000 people were evacuated. The biggest chemical spill evacuation in American history. We were forced to take a 400 mile detour. We didn't have GPS or other electronic devices in those days. Just a police blockade that suggested an alternate route to our destination when we showed them our paper map. This day became known in these parts as "Toxic Tuesday". So we were pretty happy to finally explore Duluth. We were staying with Rebecca and Steve and their daughter Kelsey, and they took us out for a tour Saturday morning. First, we went up to Hawk Ridge, and area in the hills overlooking the city where the annual hawk migration is best viewed. Unfortunately, it's a lot like trying to view the northern lights. A lot of what you might see depends on the weather and the gods...neither of which was co-operating at the time! Lots of people up looking for the hawks, but no hawks to be seen! We had mentioned that we were trying to buy some clothes, so they took us to a popular second hand store. Managed to get a hoodie sweatshirt for me, and a pair of pants and a swimsuit top for Ruth...total of $14.95. Not bad! Then, we went for another view of the city from the Enger Tower, built in 1939 by a Norwegian immigrant. Ruth and the view from the top of Enger Tower. We took our hosts Rebecca, Steve, and Kelsey out for lunch to an Asian restaurant and had a good meal where we each ordered something and then we shared everything between us. Rebecca has a job to do in another town and they had to leave us to look after ourselves for the rest of the day. So we drove back to their place and said our goodbyes. When we got there, what did we spot? One of the hawks we had been looking for earlier, sitting on top of the hydro pole across the way! We're not bird people, so can't tell you the name of this hawk. He sure is pretty though, huh!? Kevin, Ruth, Kelsey, Steve, Rebecca. The little blue car had developed a shimmy in one of the tires. Probably not the tire itself, but just a balancing problem. It was a bit annoying at certain speeds, so I swapped the tires around and put the fronts on the back and vice versa. Took only a few minutes and now the problem appears to be gone. Then, Ruth and I hopped in the car and went for a drive to a lakefront pathway to go for a walk near the rose gardens. Once in a while, you gotta take some time to smell the roses!!! Walking along the Duluth Lakewalk, we saw the tourist train about to leave the station. Seems there are a few different packages available and you can even have dinner on board. Unfortunately, the most scenic part of the ride is right at the beginning around about where this photo was taken. On a Saturday night, it seemed pretty busy though. We walked a couple of miles, right from the Rose Garden to downtown. It was dusk by the time we returned. We had a great day in Duluth and we were lucky that the weather was beautiful. Seems the area has forgotten all about "Toxic Tuesday"! Today (Sunday), we're headed for Marquette, Michigan! I guess those hawks did not want to be the centre of attention today and stayed home, but at least you saw one. Looks like you are enjoying the drive and some sightseeing too. I guess that one hawk just wanted to make our day! Yes, we are enjoying our drive but we are really wishing we had more time to explore though. There are lots of things to see in the Duluth area and lots of trails to hike but we just don't have the time to explore them. One full day is just not enough, guess we will just have to make a return trip one day. Yep, all the racks were by colour at the one Goodwill store that we were in too! We wish that had more time to spend in Duluth, one full day was not enough. It was great to host you and finally meet you after reading your blog. Happy travels. Thank you so much Rebecca and Steve for your wonderful hospitality. We look forward to seeing you both again one day, I know we will cross paths again. Free tire repair, rotation and balancing at Discountire.com 123 East Central Entrance, Duluth... always works for me.